Following is the best Victorian and Melbourne Secondary School Zone Map that I have created. This should also be the best and most accurate that can be found on the internet, I tried Google searches myself. The total currently stands at 310 zones for Year 7. For the final confirmation please contact the school in question. Thanks for providing all this information. Just wanted to let you know that your site is totally unusable from my iPhone as it keeps refreshing and jumping all around on the page (scrolling) such that I cannot use the interactive map at all. Thank you for the heads up, I will try to find an iPhone and check this out. I will email you the direct link which hopefully should work better on iPhone. There are no schools marked on the map which appears for me so I couldn’t find which school is closest. With primary schools I only covered the Melbourne Metro and surrounding areas, I likely will try to expand and finish the entire state at some point. With Year 7 and 11, I covered the entire state. 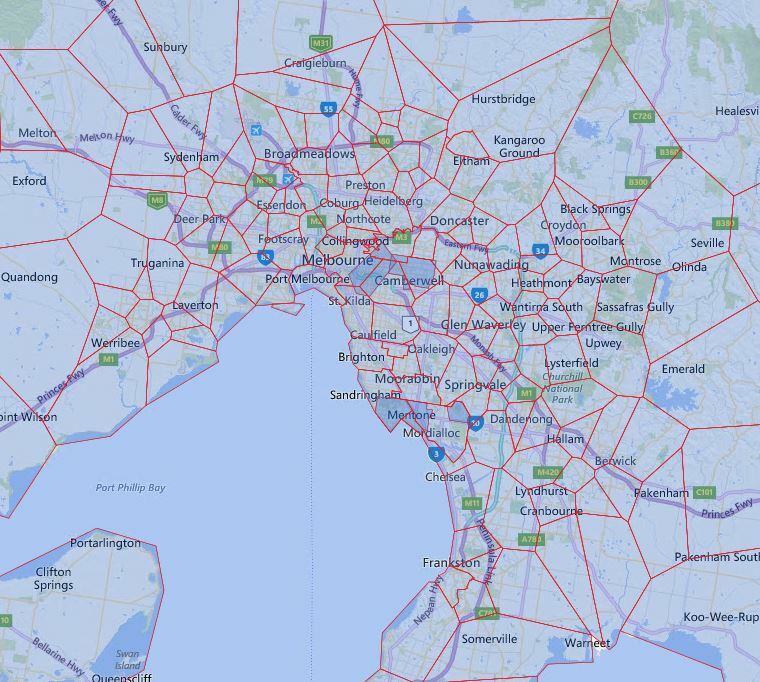 If you had trouble accessing a particularly map, you can find our contact information on About us page http://www.schoolcatchment.com.au/?page_id=2, we can work together to see if we can found a way that works better for you. So useful thanks for your excellent work! Unusable, there is no way to find schools or identify their boundaries. There is a fully zoomable map in about the middle of the page where you can either search for a particular school or manually zoom to the area of your interest. If then click on the map of the area you interested in, the school’s intake area will be highlighted, the boundaries are all clearly marked in red. This map is difficult to use, could you tell me what secondary colleges are located at 18 Currajong Ave Camberwell in Melbourne metro area. Many thanks. Look like that particular address falls under both Auburn High School and Canterbury Girls Secondary College’s intake area. As usual, I recommend you contact the school in question for the final confirmation. Could you please tell me what secondary colleges are located at 10 lancashire drive in Melbourne south east. Alkira Secondary College looks to be the closest school to that address. However, you will need to contact the school in question to confirm whether you are zoned for the school in question. Is this map come out from government ? The map is derived from what government data can be gathered publicly or estimated based on the principle stated by Victorian Department of Education. As I have stated previously this map is only meant for reference, I tried to keep it as accurately and up to date as possible. However, you will still want to contact the school in question for final confirmation. Previous Previous post: Why Computer And Technology Related Courses Are Becoming So Unpopular With Australian School Students?